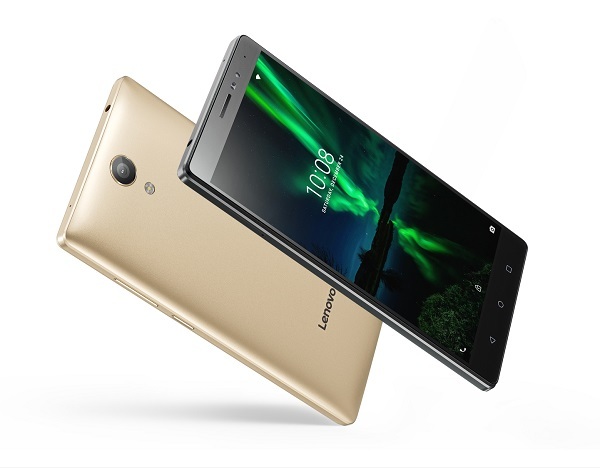 Tech World 2016: Lenovo launches Phab 2 Pro (world's first Tango-enabled smartphone) and Phab 2, Phab 2 Plus smartphones. 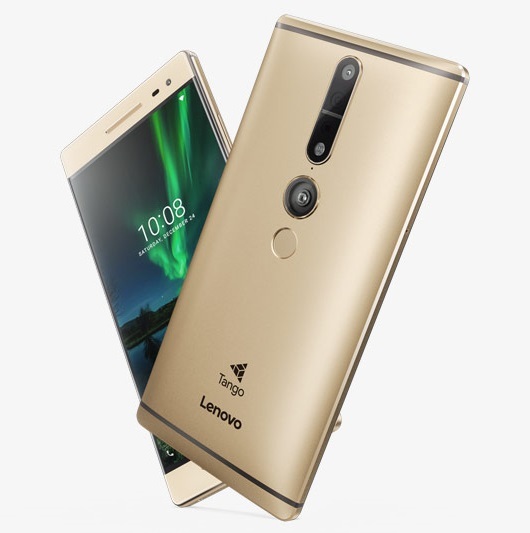 Today at Tech World 2016 Lenovo launched the much anticipated Phab 2 Pro - the world's first Tango-enabled smartphone to enable augmented reality experiences - plus the dual-camera Phab 2 Plus and full-sized Phab 2 smartphones. Unlike any other phone, the PHAB 2 Pro, powered by Tango technology - a set of sensors and software from Google that senses and maps its surroundings - makes a host of cutting-edge smartphone augmented reality (AR) experiences possible. For example, using AR apps, students can place true-to-scale virtual dinosaurs in their classrooms and enhance their learning through AR data overlays that appear while they walk around the creatures. AR gaming experiences let you play virtual dominos on your kitchen table, raise a digital pet in your bedroom and fight back swarms of aliens invading your house. With Tango technology the PHAB 2 Pro can even begin to change the way people think about mapping indoor spaces to create new experiences like future augmented reality museum tours via the GuidiGO app. Three core technologies bring Tango experiences to life: motion tracking, depth perception and area learning. Through motion tracking, the PHAB 2 Pro's "eye" sees its own location in 3D. Area learning tells the smartphone its location. Depth perception lets the device analyze the shape of the world around it by detecting surfaces and obstacles. And now for the first time ever, your smartphone can visualize and understand its surrounding objects and environment via sensors that capture more than 250,000 measurements a second. While Tango makes the PHAB 2 Pro unique, the device stands on its own as a premium smartphone. It is powered by the Qualcomm Snapdragon 652 processor with 4G LTE connectivity, and cutting-edge time stamping and camera and sensor processing capabilities. The PHAB 2 Pro features Dolby Audio Capture 5.1 with Dolby Atmos, so you can use crystal-clear 5.1-channel surround sound to record and share the full panorama of your life, adding amazing richness, clarity and depth to your special moments. Making this possible are three microphones, spatial capture with noise reduction, along with an onboard 16mp camera that supports crisp video recording. The PHAB 2 Pro boasts 6.4-inch Assertive Display with a pin-sharp QHD (2,560 x 1,440) resolution, capable of optimizing image quality based on ambient lighting and content. The PHAB 2 offers an affordable AR smartphone with many of the attractive features found in higher-end models. PHAB 2's AR mode, for instance, allows you to create more unique photos and videos by superimposing effects such as virtual backgrounds or cartoons onto your pictures - perfect for sharing on Facebook or Instagram. Other highlights include a huge 6.4-inch HD display, complete with a fast-focusing 13MP camera and 32GB onboard storage expandable via a microSD slot. The PHAB 2 Plus comes with two 13MP rear cameras that have instant focus, fast f2.0 lenses and the same professional-grade Futjitsu Milbeaut image signal processor that powers the Leica camera. Shutterbugs can capture amazing pictures with crisp low-light shots, high contrast while retaining lifelike colors, high detail in the shadow areas and a captivating background blur. Meanwhile, the camera software incorporates a manual mode as well as other special effects. 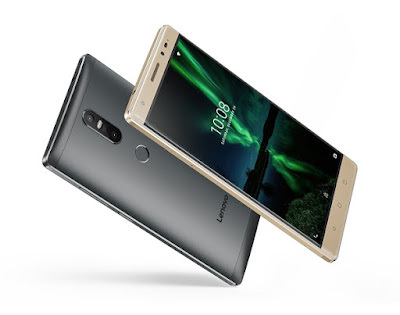 Pricing for the Lenovo PHAB 2 will start at $199 (USD); PHAB 2 Plus will start at $299; and PHAB 2 Pro will start at $499. All will be globally available beginning in September. In the US, the PHAB 2 Pro will be sold at select Lowe's stores nationwide and online by the end of the year. Pricing and availability may vary from country to country.